All marketers today face a quintessential challenge: How can a brand spread its message on diverse platforms and talk to different audiences through unique content, while also clearly capturing the brand’s voice, look and feel? Most companies fail by either producing one batch of visual content that goes on all social and digital platforms or by tailoring the content to different audiences without maintaining consistency and brand recognition. In order to create video content at scale, a strategic approach is required to nail down visual identity guidelines for your brand. In my experience working with dozens of medium-size companies and brands on creative ideation and content opportunities, I’ve noticed two recurring problems — first, the problem of limited resources to produce content for every medium, and second, the challenge of maintaining consistency, both in the frequency of publishing content and in the branding itself. To solve these problems, create concrete guidelines for all content. These guidelines act as the DNA of any content that represents your brand, helping to ensure that every project captures your brand’s specifications. In order to create these guidelines, audit what you are currently doing and identify the gaps and inconsistencies in the content you are currently presenting to your audience. Some of the things to be identified in this comprehensive guideline document include: cinematography style, lighting, colors and palettes that ought to be used or avoided, the composition of the shoot, graphics layout, music and the voice, tone and style of your brand’s messaging. All of these elements contribute to how your audience feels and reacts to your brand when viewing your content. If you want your brand to make an impact on your audience, it has to be completely aligned with your company mission and reinforce what your company stands for. Effective branding ensures a consistent and identifiable feel to your company’s content, and once your brand’s language and essence resonate with a wider audience, it becomes easier to grow and scale. Many organizations don’t have a defined strategy when it comes to brand messaging, and oftentimes that’s because they either don’t know their core values and why they exist, or they know but have not communicated that to their audience. What you stand for and why you exist are the cornerstones that will help determine your voice. If the core values of your company are centered around teamwork, collaboration and having fun and the purpose of your company’s existence is to bring people together, then you have to show this cultural dynamic in action. Involve your audience in the experience as if they are a part of your company’s environment; being able to communicate the same message internally (among your employees) and externally (among your customers) contributes to your marketing momentum. For easy brand recognition, every piece of content you put out has to adhere to a set of concrete standards. Think of your brand identity standards as a manual or a style guide for your brand. Having a clear vision and road map for how your brand voice should be represented will make all your future branding efforts easier and more cost-effective and will enable your team to have a better understanding of your target audience, brand personality and core values. Here’s a quick test to see if your company is doing a good job at this: Gather samples of all the content your company produces across all corporate functions — communications, talent acquisition, training, sales, product marketing, etc. — and take stock of the look and feel of each one. Do they all point to the same brand identity? Are all the designs, texts and formats anchored to the brand guidelines? If you see that each piece of content goes in a different direction, then you need to abide by “rules of play,” where all future communications of your company are held to the standards and criteria established by the video brand identity system. One issue that cannot be dismissed is the multitude of platforms where your brand can be showcased: Facebook, LinkedIn, Twitter, YouTube, Instagram, etc. Each platform requires content that communicates your brand identity in a different form. But it becomes a challenge when you cannot have the same video for all the platforms you work with and don’t have the budget to make a tailor-made video for each platform. For example, in my experience, the content that performs best on YouTube is long, in-depth videos. Facebook, on the other hand, is best for driving website traffic and sales from video, so videos should be tailored to the commercial opportunity that Facebook provides. The takeaway here is that video brand guidelines are an efficient and cost-effective way for you to create consistent content, and to adapt your content to multiple platforms. 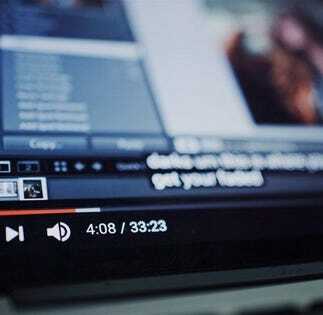 The guidelines serve as a “video playbook” — a branding toolkit that leaves no room for uncertainty when it comes to producing and editing your content because they clearly outline the specs and requirements for each platform and a strategy for repurposing content to different platforms. A video-based brand identity system is something that requires a small investment up front, but that provides a sustainable blueprint for all your video production needs. The result is saved time, saved money and success in maintaining the overall look and feel of your brand.